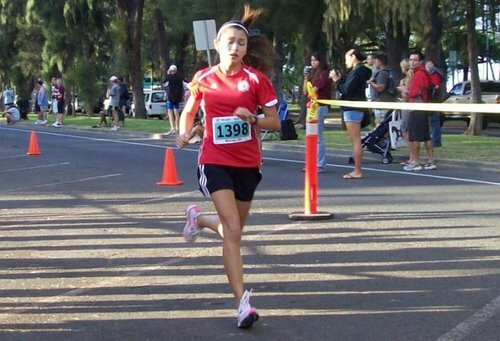 Who is the fastest male runner on the Big Island? 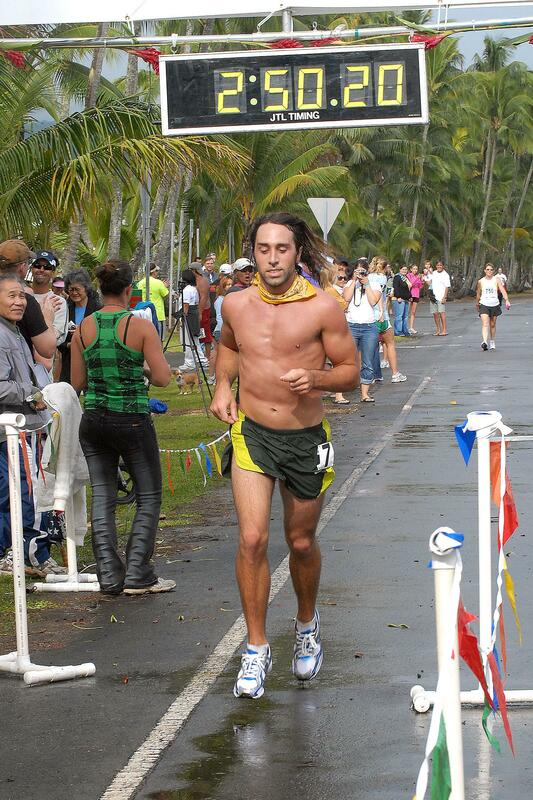 If you’re part of the local running scene, the answer is easy as Volcano resident Billy “The Ghost” Barnett is currently undefeated in seven races for 2010. Barnett was born and raised in Virginia Beach, Va. where he grew up enjoying surfing and the love for the ocean. “I have always been health conscious, studying exercise physiology at Virginia Commonwealth University,” Barnett said. Barnett started competitive running during his sophomore year at VCU, running one season with the cross country team before opting to run trail ultra marathons (distances beyond 26 miles). Barnett fell in love with Hawaii while visiting his brother on Oahu. “I fell in love with the islands and never left,” he said. Currently, Barnett is getting his post baccalaureate teaching certificate in special education through the University of Hawaii. “I want to teach high school special education here on the island as I find teaching very fulfilling and a way to positively contribute to the community,” he said. The odd thing about Barnett’s string of victories in road racing is that he doesn’t consider himself to be fast. The 26-year-old Barnett will log an incredible 100 miles per week, mainly on trails. There are days when Barnett will run hard. On other days when it’s slow and easy, he’ll just wander around the native forest and try to identify plants or even climb trees. Barnett also enjoys his first love, surfing, whenever possible and he will lie down or knee paddle board for a few miles each day. “I like to wake up early and tend to the garden by pulling weeds or planting seeds and then go for a long run and I will paddle in the evening as the sun is setting,” he said. For diet, Barnett will eat lots of fresh produce, especially leafy greens, and he will consume lots of nutrient dense foods like quinoa and lentils. But he does have one weakness. So, what’s next for this super athlete? “I have no competitive aspirations as it has never been about what place I finish,” Barnett said. Barnett believes that his measure of success comes in the amount of fun his has during an event. Barnett hopes to run all of Mana road as he believes that area is a special place. It has been a while since he has done a 50- or 100-mile event and he’s beginning to feel the urge. “Next year, I would love to participate in the Oahu-to-Molokai paddleboard race,” he said. Barnett is an incredible individual with lots of athletic talent who respects the “gift” as Steve Prefontaine would call it. Barnett would prefer to read a book or work in the garden, or just drink a beer while watching the sunset. “Inspiration is everywhere, I just try to take it all in,” Barnett said.